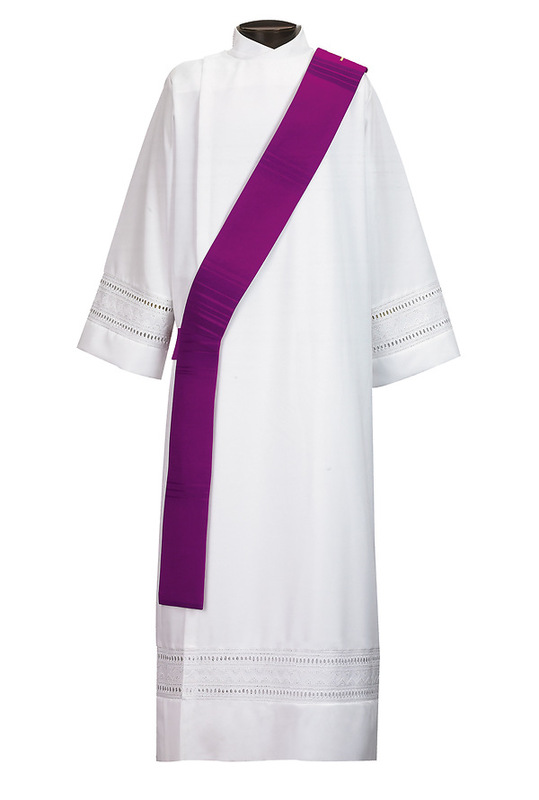 Simple yet elegant deacon stole made of light weight Roma fabric (100% polyester). Standard length is 53" long (30" across torso, 23" below waist). May also be ordered in custom lengths. Please call our custom sales team at 1-800-237-7511 for assistance.